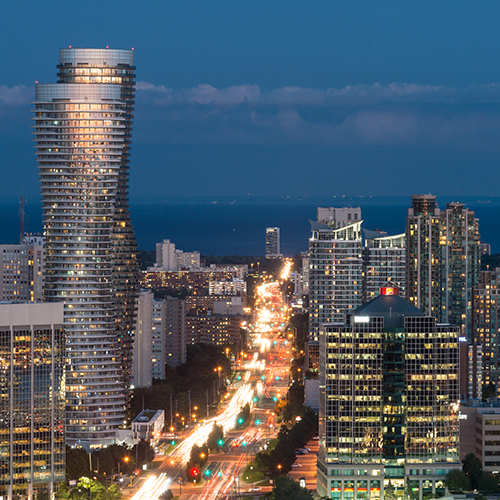 There are some great opportunities for businesses to locate in Mississauga. Whether you are looking for new development or occupying an existing building, Mississauga has the space and land to accommodate your business needs. Currently, there are more than 6,200 ha (15,323 acres) of employment lands of which 733 ha (1,811 acres) are still available for development. Click the map below to navigate our vacant land map. Approximately 4 million sq. ft. of existing (Class A & B) office space with more than 50 acres of land ready to be developed, downtown Mississauga is a growing centre for the “new economy” with 70% of residents of working age (16 – 64). The City has created plans blending the needs and interests of the community, the landowners and the City. 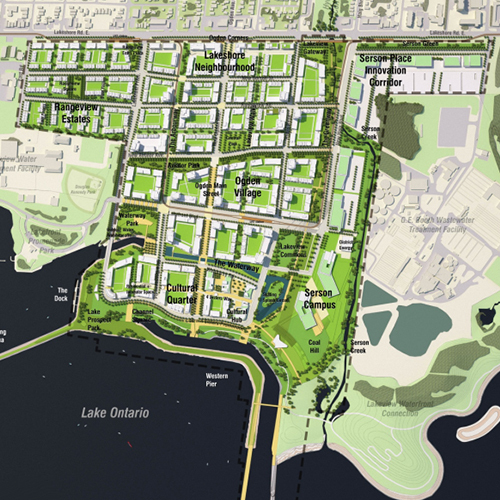 There are unique opportunities at this waterfront site to create vibrant, inspiring places where people will choose to be. 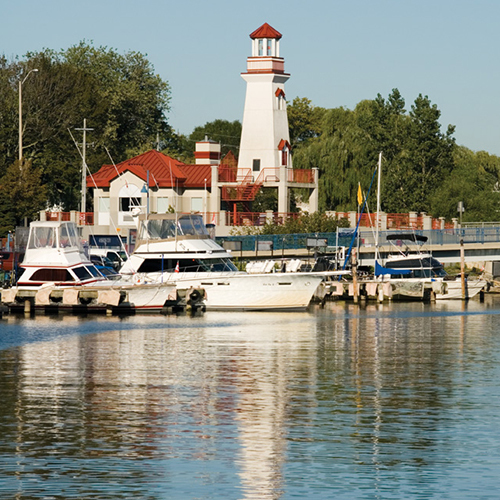 The Inspriation Lakeview Master Plan ensures a great diversity of uses, from residential, to commercial, institutional, employment, to opportunities for cultural expression and provisions for District Energy.